Crete, aka Creatine, is an almost 12-year-old black male born July 30, 2002. His sire is Black Streaker and his dam is Pen Tab. Crete has 18 races to his credit on Greyhound-data.com at Southland, starting March 8, 2004, and ending September 6, 2004. This loving boy was in a home for a year and a half, but has returned to GALT to resume his forever home search. Let's find this special boy a home! Crete is not cat trainable, and should not live with very small dogs. 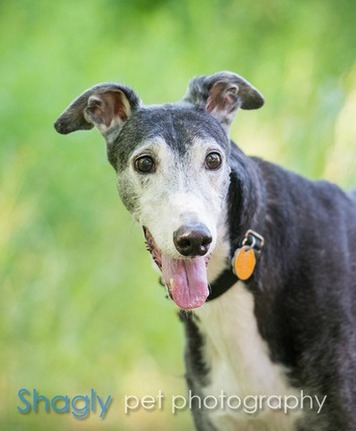 Crete is a senior boy who needs a special Forever Home with a dog door so he can get himself outside when he feels the urge. Crete needs to be on a special diet for his kidneys (Hill's k/d is what he eats now) and Dasuquin (supplemental glucosamine & chondroitin) every day so his back doesn't bother him, and he needs someone to love him and tell him how wonderful he is. 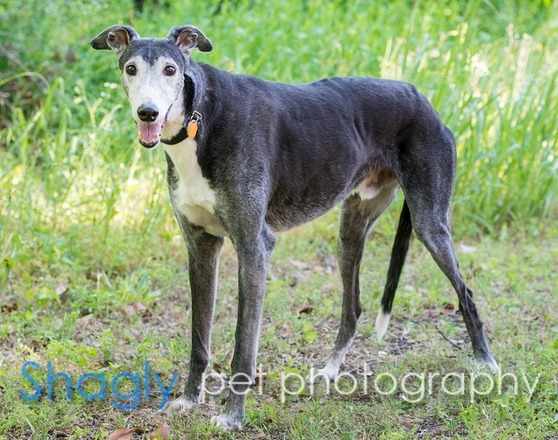 Crete is a sweet, kind, happy boy who loves walks (although they will need to be very short) and back scritches to make him swoon to the floor, and ear rubs to make him moan. But mostly he needs love from someone who understands the aches and limitations of an ex-racer who has done his job well and now just wants to relax and enjoy the life of a cherished pet. Crete will be fine as an only dog and would do best in a quiet home with little activity. In return, he will love and adore you, make you laugh, and give you multiple photo opportunities! 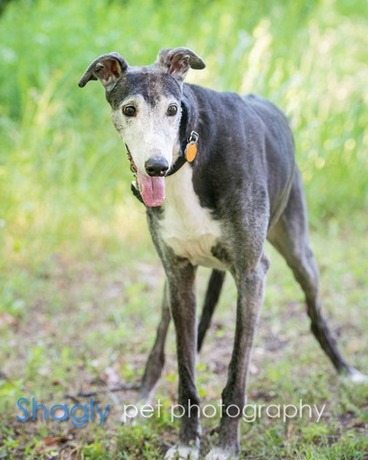 Crete is a favorite of the GALT family - and once you meet him, you will see why. If you have love to offer and room in your heart and home for Sweet Crete, please let him know!